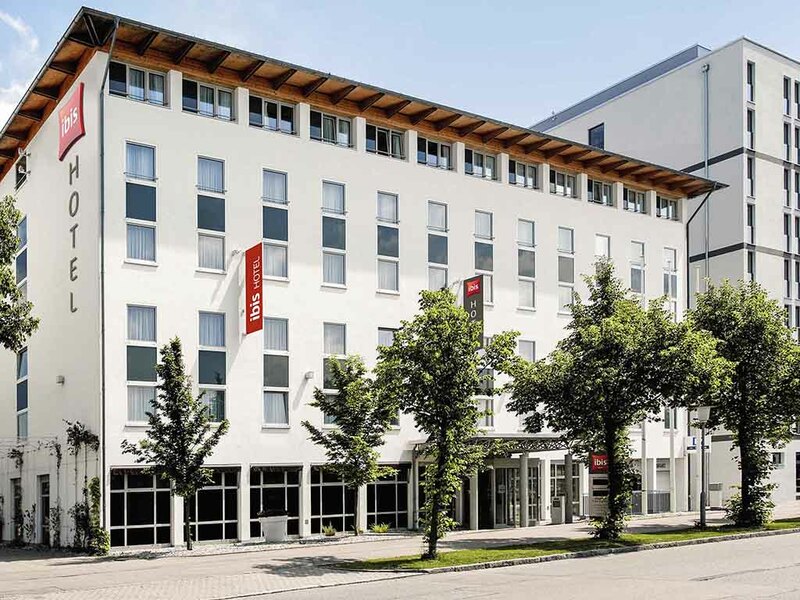 The Ibis München Garching hotel is situated in the Garching-Hochbrück business district, where you can enjoy the peace and quiet of nature while still being close to the city. All of the 105 comfortable, air-conditioned rooms have Internet access, as do t he hotel's public areas. You can also surf for free using the iPoint in the lobby. Our reception and gastronomic service is available 24/7 and we serve a generous breakfast buffet between 4am and 12 noon. Motorcycle parking is provided free of charge. Your ibis München Garching has just been renovated - we've given our public areas, restaurant and breakfast room a great makeover for our guests. We wish you a pleasant stay: All 105 rooms are air conditioned, soundproofed, and feature high-quality furnishings with the ultimate Sweet Bed by ibis sleeping comfort. With free WIFI and TV with a wide range of Sky channels.